Could virtual reality bring your loved ones back from the dead? The hardware and software behind virtual reality is improving at a rapid rate, and that opens up new possibilities - like being able to chat with a computer-generated representation of someone who has long since shuffled off this mortal coil. 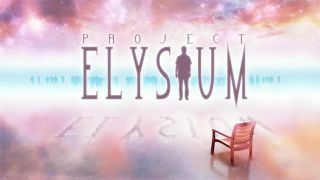 That's the idea behind Project Elysium, a new app Paranormal Games is putting together ready for the Oculus VR Jam 2015. Details are scarce at the moment but the firm will have to submit screenshots for the competition next week and then video footage the week after that. The Twitter account is the only information we have on this right now, with Paranormal Games saying "Modeling [sic] my bestie and business partner Nick into Project Elysium. Our first demo will be personal to Nick." Questions like how someone's character would be captured (they'd likely have to go through the process in full when alive), or how limited their interactions would be till remain. We'll have to wait and see what Paranormal Games has in store, but it's an intriguing, if very scary, prospect: would you want to live forever in a simulation? Or perhaps we already are. For people who lost loved ones when they were very young, it might offer more comfort than flicking through a faded photo album, for example - and the tech might also enable actors to keep on landing those starring roles long after they've passed on. Still, for most of us this is an idea that's going to take a lot of getting used to.